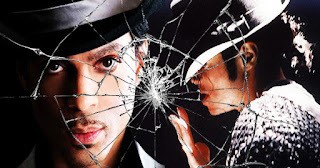 3 Times Michael Jackson and Prince Almost Got into It -- And Why They Never Did A Song Together! Michael Jackson and Prince were two music legends that are greatly missed by music fans all over the world. But many people don't know that the two never really got a long with each other. They both dominated pop music in their own unique way, but they never did a song together... and there's a reason for that. Reportedly, both of them once shared a studio and kind of got in to it over a ping-pong game. Prince supposedly won the game, when Michael almost dropped his paddle trying to go after a spike. Prince then started bragging, saying, "Did you see that? He played like Helen Keller!" Michael was reportedly quite annoyed, but that wasn't the end of their athletic competitions. They also reportedly played basketball together, and Prince once again was the more dominant player. On another occasion, Michael was reportedly irritated with Prince when he declined to be a part of his 1985 hit song "We Are the World," which went on to be one of the biggest all-star charity recording of all time. Prince also turned down Michael's request to make his 1987 hit song "Bad" a duet. Sources say Prince turned him down again when Michael invited him to appear in the song's video. That "bass in your face"
Finally, in 2006, super producer Will.i.am invited Michael to watch a performance that he was doing with Prince in Las Vegas. Michael agreed to come, but during the performance Prince walked into the audience and played an aggressive slap-bass solo right in Michael's face. Michael responded by sayin, "Why was he playing his bass in my face?" Sounds like a lot of silliness and immaturity on both of their parts, but regardless, Prince and Michael Jackson are still icons with timeless music that will never be forgotten. And, too bad they never did a song together!